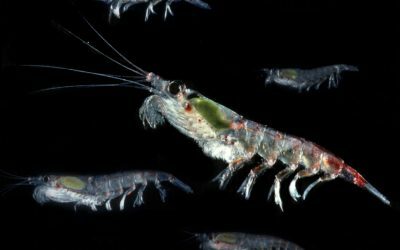 An international team of scientists, led jointly by Dr Simeon Hill at the British Antarctic Survey and Dr Angus Atkinson at Plymouth Marine Laboratory, analysed data on the amount of krill caught in nets during scientific surveys. 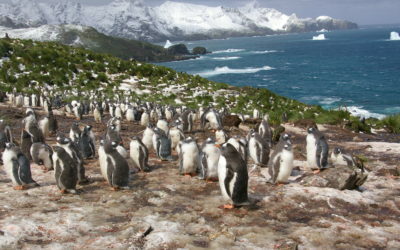 The data covered the Scotia Sea and Antarctic Peninsula – the region where krill are most abundant. 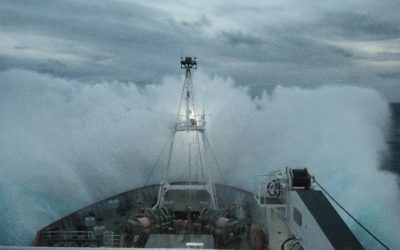 The team found that the centre of the krill distribution has shifted towards the Antarctic continent by about 440 km (4° latitude) over the last four decades. 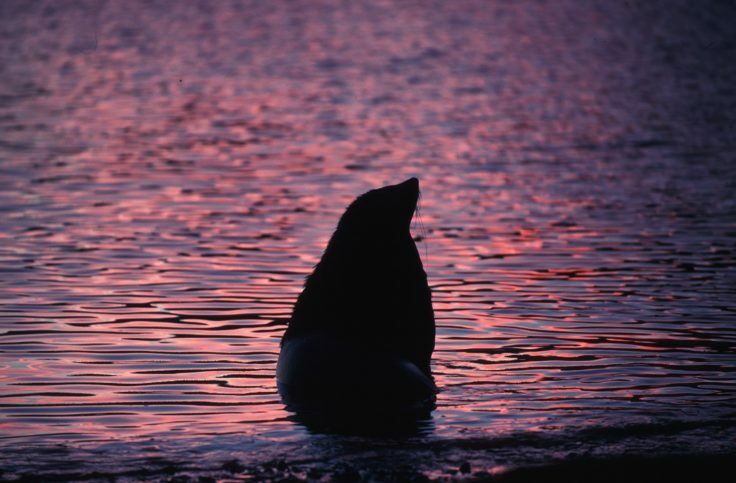 A fur seal at Bird Island in South Georgia. 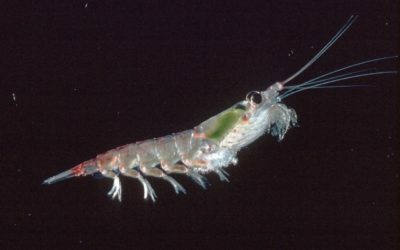 This is one of the main krill predators likely to be impacted by the krill population contracting south. Dr Hill said: “Our analysis reveals a species facing increasing difficulty in replenishing itself and maintaining high numbers at the northern edge of the Southern Ocean”. 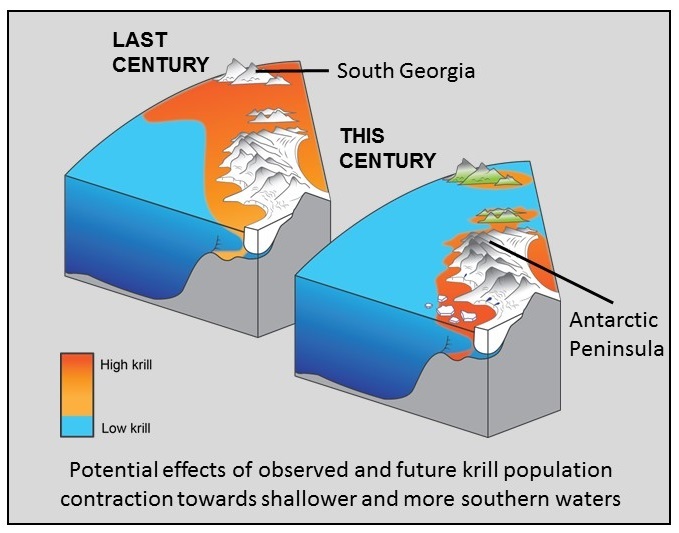 Krill (Euphausia superba) distribution contracts southward during rapid regional warming by Angus Atkinson and Simeon L. Hill, Evgeny A. Pakhomov, Volker Siegel, Christian S. Reiss, Valerie J. Loeb, Deborah K. Steinberg, Katrin Schmidt, Geraint A. Tarling, Laura Gerrish, Sévrine F. Sailley is published in Nature Climate Change. Antarctic krill mainly live in the upper water column of the Southern Ocean, but are also found in deeper water and at the seabed. They feed on small plankton organisms and are themselves staple food for fish, penguins, seals and whales. Krill are also harvested by commercial fisheries for human consumption. There are an estimated 100-500 million tonnes of krill in the Southern Ocean – similar to the weight of the world’s human population.